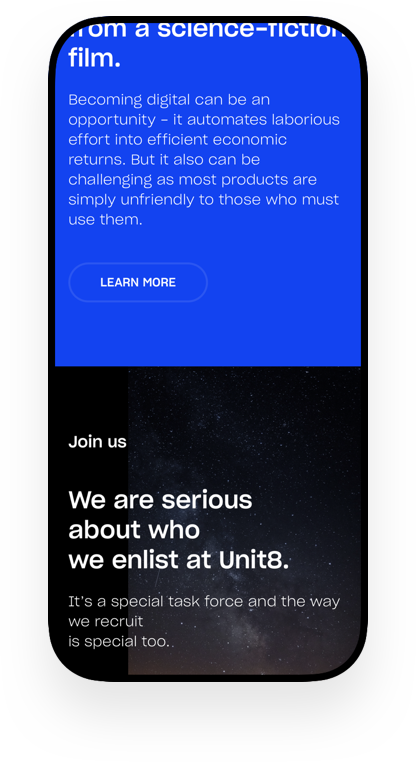 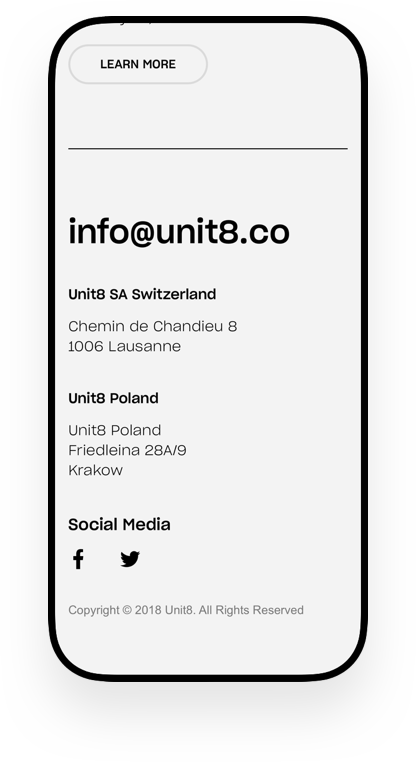 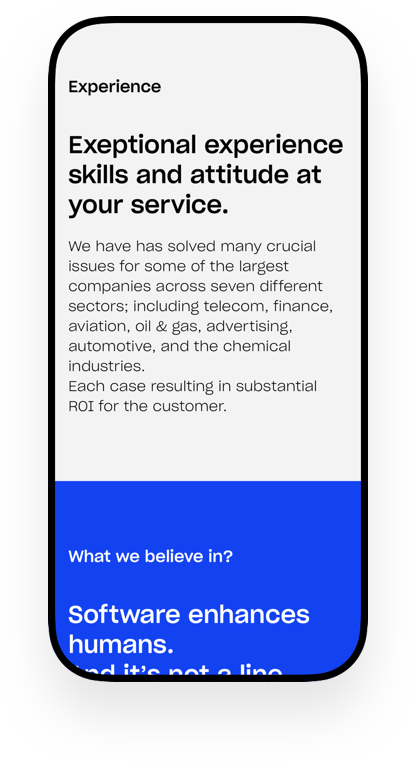 Unit8 is a team of software developers. 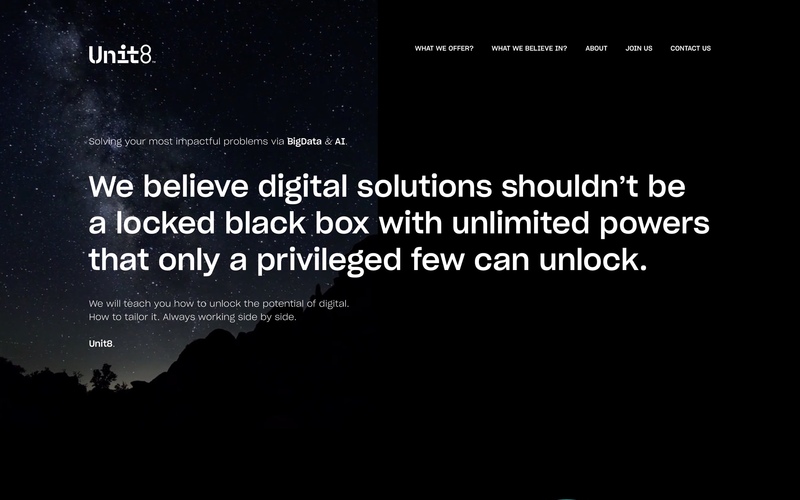 They combinee the most recent innovations in machine learning and AI. 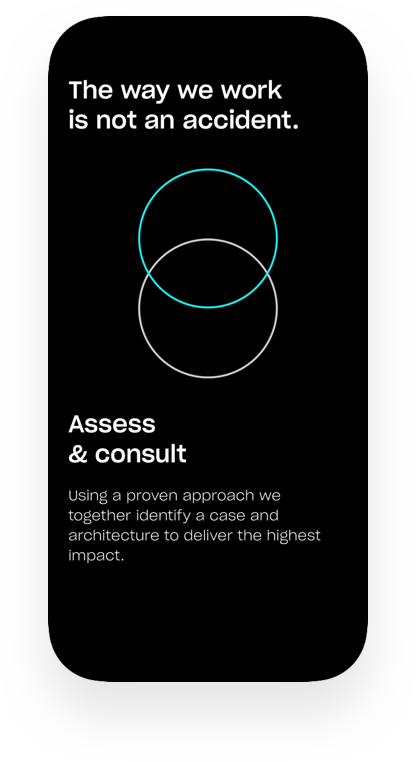 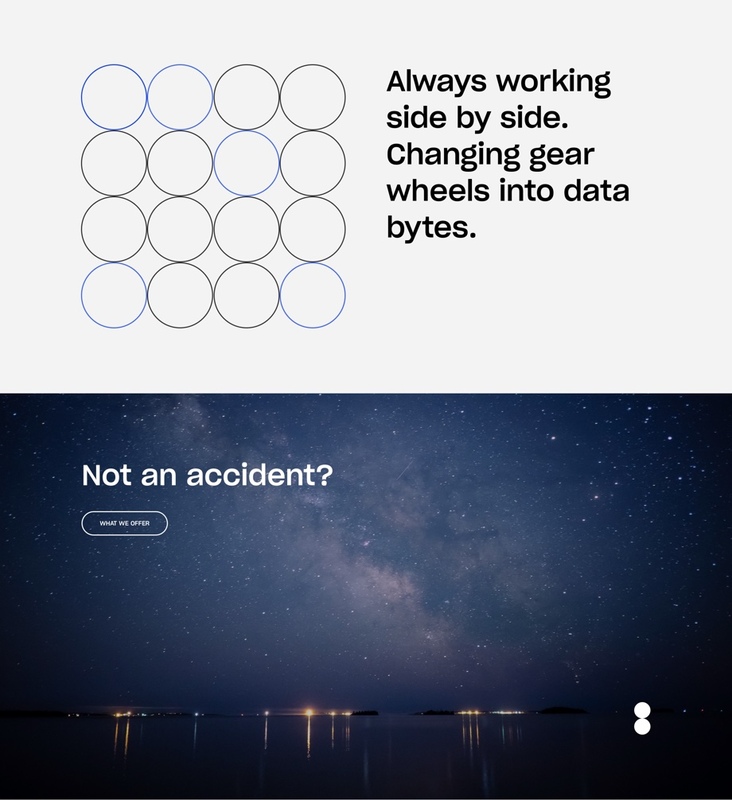 Together with Studio Otwarte we created a new website for them.